No other city does Christmas quite like London. The city has definitely mastered the holiday look. 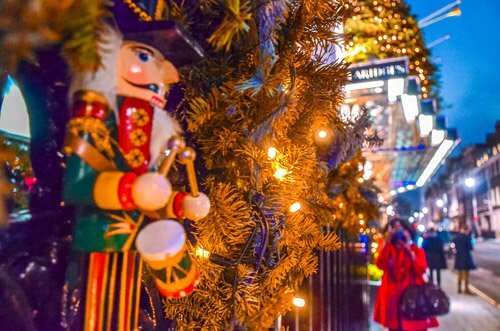 You’ll find streets decked in London Christmas lights, shop windows turned into festive scenes, ice rinks in front of grand buildings and British Christmas markets popping up everywhere. There’s so much to see! 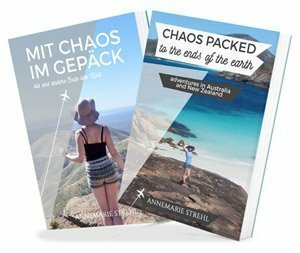 Even if you are staying for only a short time or even a layover, here is a list of the best spots so you know where to get your gloves and childlike wonder on. 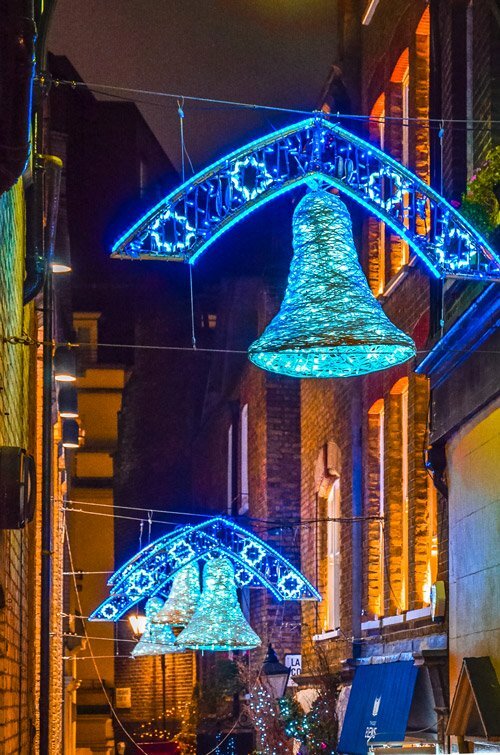 1 Should You Join a London Christmas Lights Tour? 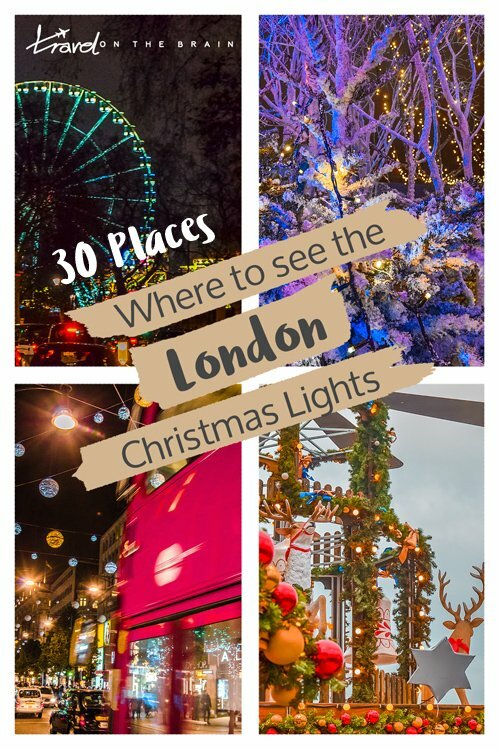 6 Is a Visit to the London Christmas Lights Worth It? Should You Join a London Christmas Lights Tour? 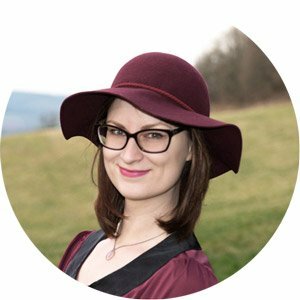 Are you visiting London just for a short time and have a full schedule? 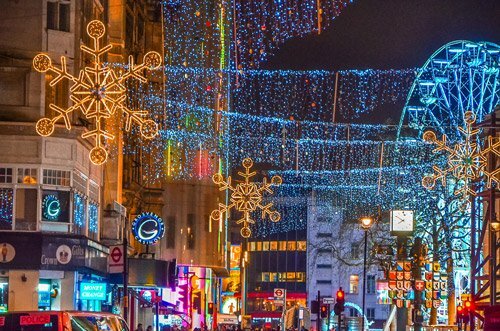 Don’t miss the best Christmas lights in London! 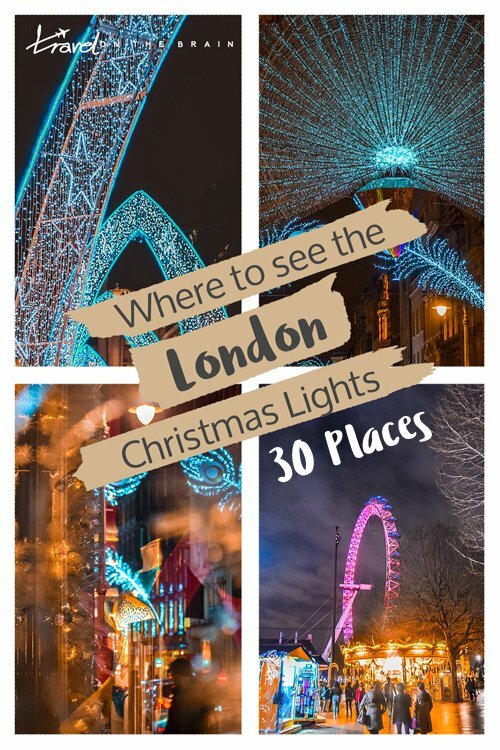 To really maximise seeing as many as possible, get a local guide who knows all the best locations and alley walks to get around between the London Christmas lights. Maybe you are visiting during chilly times and don’t want to be out in the open too long? Try this 60s Vintage Bus Open Top tour, which takes only up to 90 minutes. Snuggle up warm if you decide to sit upstairs in the open top while the Christmas lights of Oxford Street pass by.The bus comes with audio guide and screens showcasing Christmases past of London. 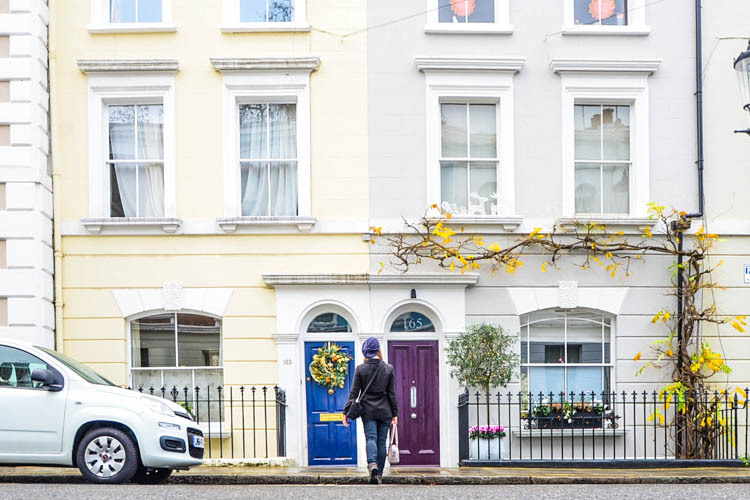 Notting Hill is simply glorious. 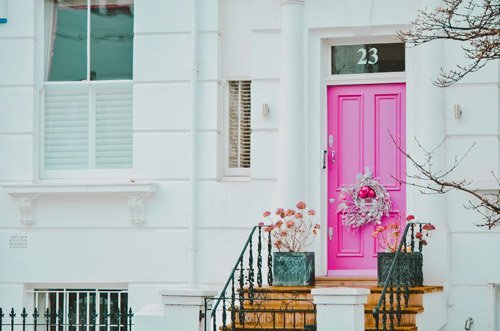 Especially during Christmas the quiet streets and pastel doors seem even prettier. Imagine white classy houses with black iron fences dotted by tasteful Christmas wreaths and blinking lights in the dark. 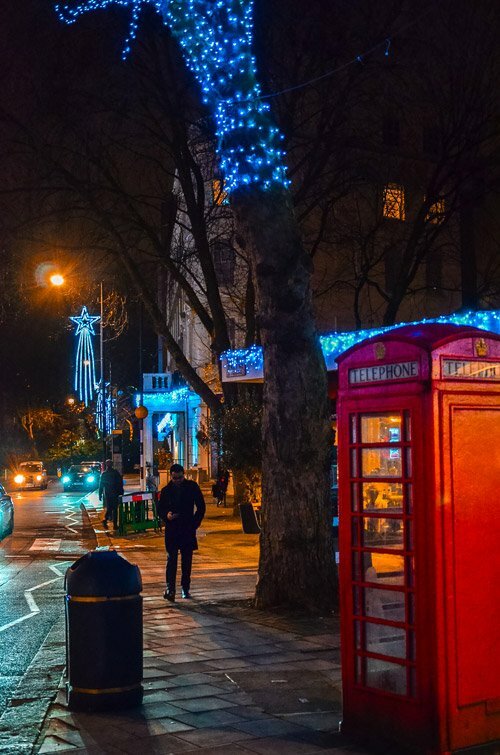 To really feel festive, visit the Notting Hill Christmas Bazaar. The Christmas Market in Leicester Square is something quite special. Right in the middle of London and with typical stalls and Christmas fare, you might not expect what’s coming: Drag Queen shows! Check out the event calendar here. Those events incur a fee, the market itself is free to visit. 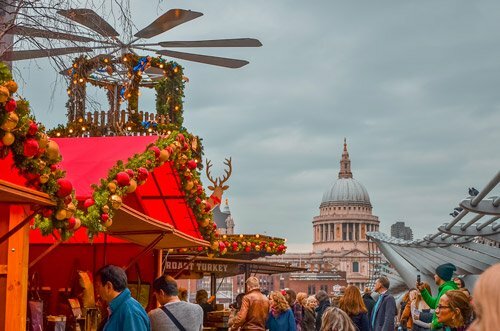 If you want to combine London sightseeing with a German style Christmas market, head to the Christmas by the River market. It stretches along the River Thames. Treat yourself to a mulled wine and chocolate crepes. Southbank has the amazing Borough Market but during Christmas times, it’s even better! This is where foodies need to be: get raclette, German bratwurst, fondue and delectable international wines and cheeses. Warm up at the fire pits under the fairy lights. Yes, Japan comes to London, otaku heart be still! At Hyper Japan Christmas Market you get to dive into Japanese culture and food. (Oh the food!) Get Japanese Christmas gifts, such as stationary, dinnerware, wonderful wrapping paper and chocolate pralines. Not to be missed! The entrance fee is £19. Hyde Park is an oasis in the heart of London and with so much green space, you can bet there will be a Winter Wonderland happening. 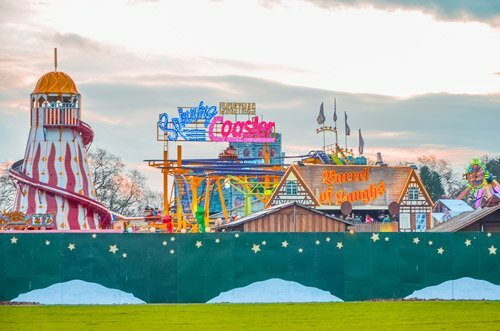 Even if there is no snow, you can enjoy the mini theme park and UK’s largest open-air ice rink. Plus, there are more than 100 spectacular rides and attractions. Entry is free but if you are keen on the themed bars, you need to get a ticket. A carousel, German style Christmas market stalls and artsy and handcrafted items will tempt your attention in front of Tate Modern. This is how a lovely vintage Christmas might have felt like. This one only lasts for three days and is all about making your tastebuds sing! Taste of Londons Festive Edition is catering to foodies. Try international dishes and learn new skills at the cocktail masterclasses at Wapping’s Tobacco Dock. Prices start at £15. Not in the centre of London but worth a visit if you are planning a longer stay, Winterville is ridiculously charming. This isn’t just an ordinary Christmas Market, this is a full blown experience. Spend your entire day here and dine in the Street Feast, sit back at Backyard Cinema, play Plonk Golf, skate on the Ice Rink and stock up on presents at the Solo Craft Fair Christmas Market. Entry prices start at £2 (£5 after 5pm on weekends). 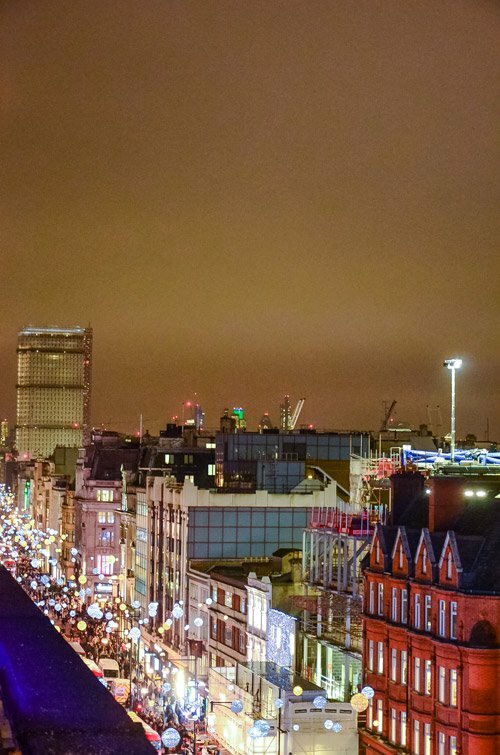 Imagine a carpet of light softly floating above the busiest London streets. The iconic red buses are whizzing by and you catch the reflection of the white and blue bulbs. Most popular of all is Oxford Street, not only because of its shop window displays but also because of the 1778 snowball-like decorations with their 750,000 LED lightbulbs. Did you know that the first switching on of the festive London lights on Regent Street happened in 1954? The style of thi street is more elegant and vintagy with garlands hung above the street and giant angels above. There will be a switch on event with celebrities on November 15 at 5:30 pm. One of the prettiest Christmas lights in London are on show at Carnaby. The street is usually reserved for high end fashion and thus it’s not surprising it welcomes its first illumination with a big street party. The theme of the Christmas lights changes every year. A little further, you can catch different but just as unique light installations on The Strand, another popular shopping street. The holiday lights here are far from subtle hanging down like neon rain with giant baubles. The switch on is on 14 November. Unlike the previous lit up streets, the Marylebone Christmas Lights come with a full on show and market stalls. Lights will be turned on at 6pm and activities are held from 3 to 7pm. A not so typical Christmas event is The Enchanted Woodland. 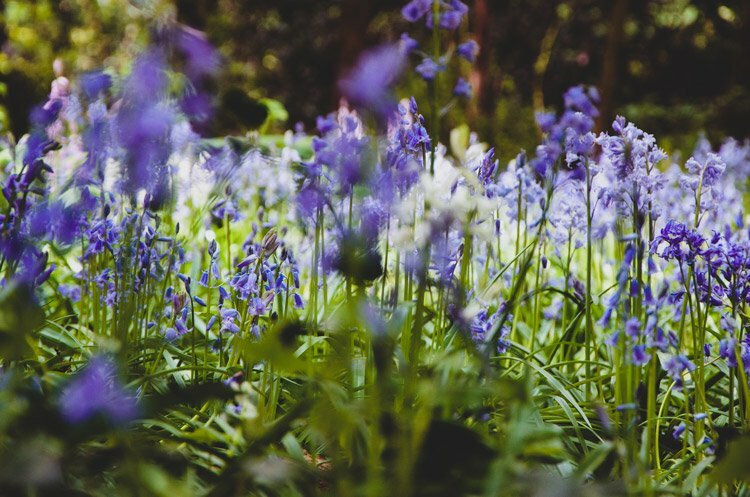 It takes place in 600-year-old gardens and tickets can sell out, so reserve yours in advance. Prices start from £10. 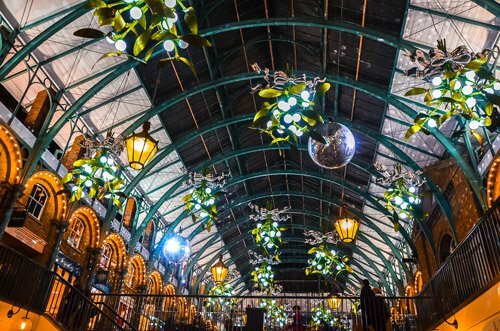 One of the fanciest displays of Christmas lights in London is at Covent Garden. Like in 2017, this year will also feature the wonderful mistletoe chandeliers above the streets. And there will be another huge, real Christmas tree again. Mark your calendar for the switch on event. Gardens might not be on your minds when visiting London in winter. But Kew Gardens out on a remarkable light show. Follow the trail that stretches across a mile and make your way to the glowing boats and Laser Garden. Entrance price for adults is £18.50. I seriously love window shopping during a visit of glorious Christmas lights. Leadenhall Market is ideal for that. It comes decorated with wonderful light garlands and a 20-foot Christmas tree. London’s Mayor himself will turn on the lights at 6:30pm on November 16. Fancy spending Christmas among cute animals? How about visiting at night when only nocturnal friends are awake? YOu follow the London Zoo Light Trail for a fascinating and unique experience. Overall, there are 100,000 lights. Prices start from £16.50. The square in front of the Royal Exchange isn’t big but it gets its very own 25ft high Christmas tree. There will be decorative lights as well and you can witness the switch on by a secret, famous guest on November 21 at 6pm. Food and drink are also available. Are you more of a Grinch but love historic grounds? Check out the modern After Dark installation at 18th-century Chiswick House & Gardens. Also, there are food trucks! Entrance fees start from £8.50. This event actually takes place across both Sloane Square and Duke of York Square. The trees are hung with pretty fairy lights and carol singers will create a Christmasy atmoshpere. Switch on is at 5pm. Please note that despite the light switch being on 15 December, the Connaught Village Christmas Shopping Event takes place on November 22. 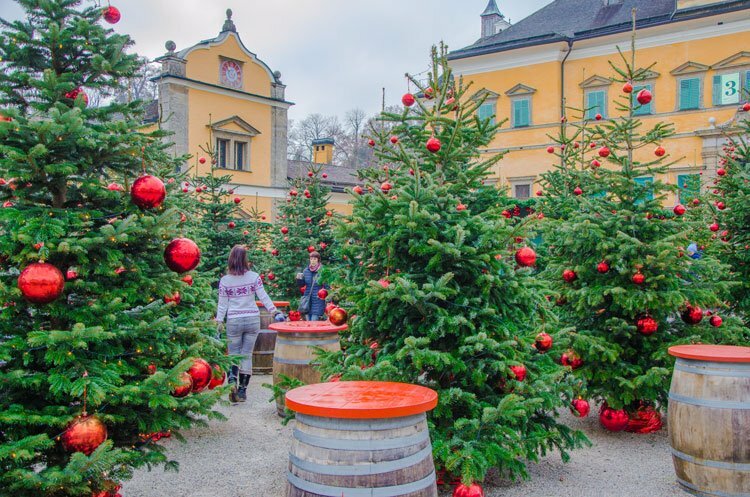 There are a lot of freebies to be gotten then, such as activities, mulled wine and prosecco. While you’re on Oxford Street, don’t be afraid of entering even the fanciest looking shops. Harrods is trimmed with a big red ribbon outside and within, it looks just as lovely. Selfridges always comes up with tongue-in-cheek window displays. Take your time as you stroll past on Oxford Street and have a closer look. One mall you should not overlook is John Lewis with its shimmering decoration in every room and a magical rooftop. It offers a great view over Oxford Street. 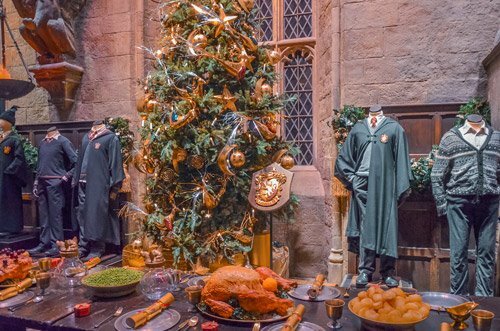 Did you know that the Harry Potter experience at Warner Bros-Studio gets all festive as well? See the Great Hall decked out, candles floating, Christmas dishes on the tables and a tree beautifully decorated? Even Primrose Drive will see a little bit of snowfall! I haven’t skated on ice for way too long and next time I’m in London in December, I will rectify that. The one place that is highest on my list is the rink at Somerset House. Icy blue lights on a white ice surface in front of a grand house by the Thames? Count me in! Of course, there are plenty more places to dust off your skating skills. Christmas in England entails a pantomime. Though that’s more aimed at kids, you can take the idea and head over to a musical or theatre performance. There’s always something going on and during weekdays, you can get tickets at about half price. The Globe is closed for performances in the winter, but you can see an indoor performance at the Sam Wanamaker Playhouse. 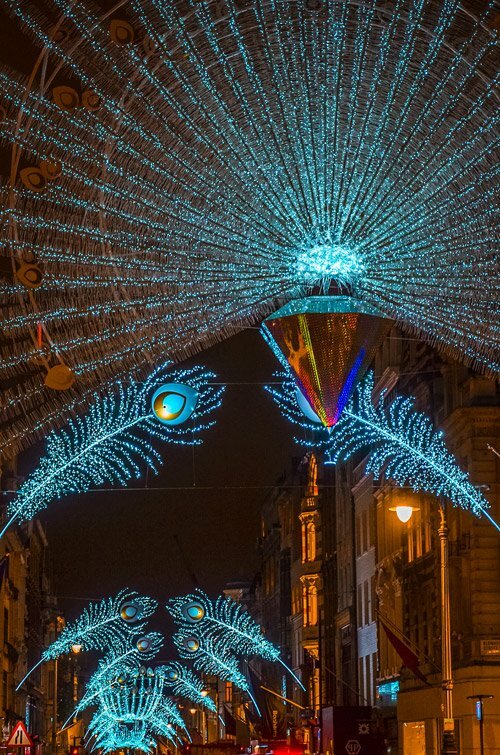 Is a Visit to the London Christmas Lights Worth It? London is always a great idea for a visit but during Christmas it’s the absolute best! If you fear that it will be very cold, that will most likely not be true. It will be chilly and probably slightly windy, but British winters are never super frosty and in London, there are so many stores and coffee shops around, you can always warm up. But why would you want to do that when there are millions of lights twinkling above you and happy smiles out on the streets? 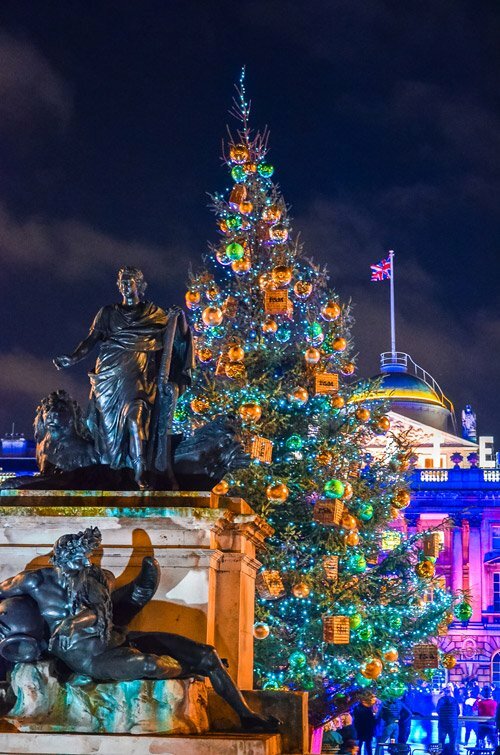 Would you come and visit England for the spectacular London Christmas Lights 2018 especially? I had NO idea that there is such thing as Christmas light tours! Although I suppose someone had to come up with it eventually. I adore that so many places get into the spirit, and your pictures are so gorgeous! I’d love to try out that vintage bus for sure. Amazing! I think sparkly lights makes Christmas feel homey and pretty! I wish they left all the lights up on all winter! This is a great tour of seeing the best of the best. Hi Olivia, it really does! I wish the lights were up longer, too. At least some of them start in November already. Oh my gosh. This is heaven for me! I’m obsessed with Christmas season, lights, decorations, everything! And I still haven’t been to London, as crazy as it sounds! Wow! So much to see! I want to see them all – but especially the zoo lights! An evening at the zoo sounds delightful. Saving for later! I know, there is crazy much to see in London already and now these cool lights!